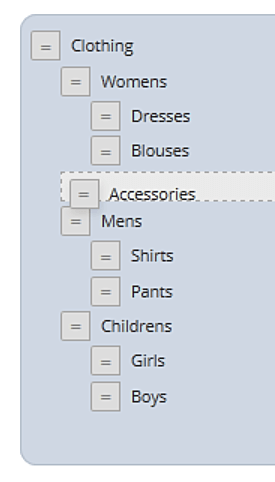 Click the handle icon next to the category. Move the category under the category that will be its parent. 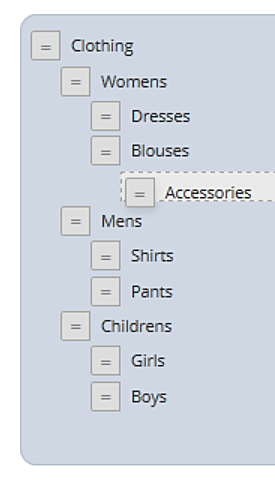 Make sure that you drag it to the right as much as possible, so it registers as a subcategory (see examples below).